Currently, the government is in the middle of the longest shutdown in history, after President Trump’s refusal to sign spending legislature, without border wall funding. 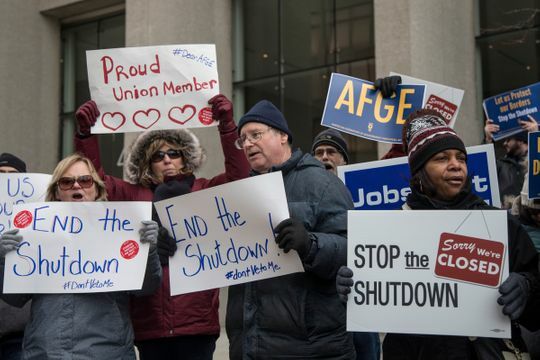 Over 800,000 federal employees are directly affected, and 380,000 are without pay, already having missed a paycheck. Not only has this affected federal employees, but federal aid, like EBT/SNAP Food benefits will be affected as of February 1st. In LA last month, there were less than 40 judges in the courts, and other 74,000 pending immigration-related cases. In the same vein, e-Verify is also down, a system employers use to reduce the amount of undocumented workers being hired. Federal attractions, like the National Park Service, are also closed down. The NPCA (National Parks Conservation Association) reported $6 million in fees have gone uncollected. President Trump has tweeted about how the Democrats are at fault for the shutdown, and that they are able to reopen the government if they would be willing to build the wall. But the Democrats in the Senate and the House, don’t believe there are benefits for border security by building a wall. On the other hand, Democrats refuse to sign any legislation with border wall funding included, neither side ready to compromise. No end to the shutdown is in sight, and one won’t be until one side will decide to concede to the other, as the Republicans and the Democrats both refuse to compromise.